Shan only finished elementary school when Mao Zedong's Cultural Revolution tore his country apart. He was a witness to the brutality and absurdity of Mao's policies during one of the most tumultuous eras in China's history. Exiled to the Gobi Desert at age 15 and denied schooling for 10 years, he endured untold hardships without ever giving up his dream for an education. Shan's improbable journey, from the Gobi to the "People's Republic of Berkeley" and far beyond, is a uniquely American success story - told with a splash of humor, deep insight and rich and engaging detail. Says former Federal Reserve chair Janet Yellen: "Shan's life provides a demonstration of what is possible when China and the United States come together, even by happenstance. 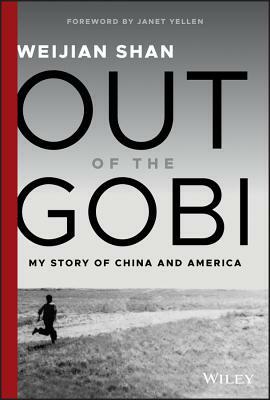 It is not only Shan's personal history that makes this book so interesting but also how the stories of China and America merge in just one moment in time to create an inspired individual so unique and driven, and so representative of the true sprits of both countries. WEIJIAN SHAN is chairman and CEO of PAG, a private equity firm. Prior to PAG, he was a partner at TPG, a private equity firm based in San Francisco, and co-managing partner at TPG Asia (formerly known as Newbridge Capital). He led a number of landmark transactions, including the acquisitions of Korea First Bank and China's Shenzhen Development Bank, both of which made his investors billions of dollars in profits and were made into case studies by Harvard Business School. Previously, Shan was a managing director at JP Morgan, a professor at the Wharton School of the University of Pennsylvania, and a farm laborer in China's Gobi Desert. He holds an MA and a PhD from the University of California, Berkeley, and an MBA from the University of San Francisco. He studied English at Beijing Institute of Foreign Trade (now University of International Business and Economics), where he also taught as a faculty member. He received no formal secondary education.